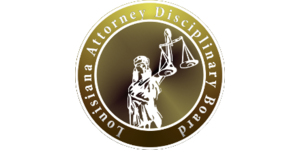 These lawyers were the subject of Louisiana Supreme Court disciplinary orders or Louisiana Attorney Disciplinary Board recommendations that were made public during the month of August 2018. Norman R. Gordon. The court transferred the respondent to disability inactive status. Gregory Timothy Discon. The court dismissed as moot the disciplinary proceedings against the respondent after granting his Petition for Permanent Resignation (18-OB-1323). Gregory Timothy Discon. The court granted the respondent’s petition for permanent resignation in lieu of discipline and ordered that he be permanently prohibited from practicing law and permanently prohibited from seeking readmission in any jurisdiction. Tyrone F. Watkins. 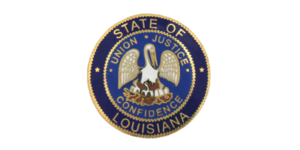 The board recommended that the Louisiana Supreme Court suspend the respondent for three months, fully deferred with a one-year probation period and restitution payments. The respondent failed to communicate with his client and failed to return unearned fees. Felix Anthony DeJean, IV. The board recommended that the Louisiana Supreme Court suspend the respondent for one year and one day. The respondent committed the crime of simple battery against District Attorney Bradley Burget by “chest bumping” him twice in a judge’s chambers. The respondent also had a prior disciplinary record involving possession of a controlled substance. Edward Duane Schertler. Hearing Committee #62 recommended that the Louisiana Supreme Court disbar the respondent. The respondent had previously committed multiple crimes, including illegally possessing drugs while possessing a firearm, possessing stolen things, and failing to appear in court. Mitchell M. Evans, II. Hearing Committee #7 recommended that the Louisiana Supreme Court permanently disbar the respondent. The respondent entered into a vague contingency fee agreement, withheld an improper amount from his client, and failed to return unearned fees. These actions constituted fraud, dishonesty, deceit, and misrepresentation. Carol E. Parker. Hearing Committee #62 recommended that the Louisiana Supreme Court suspend the respondent for three months, with all but thirty days deferred. The respondent filed frivolous motions to recuse two judges and to delay proceedings in a matter for which she was unprepared. Larry English. Hearing Committee #17 recommended the dismissal of all charges against the respondent. The respondent and his client had dispute over fees, but eventually the respondent earned the amount in dispute.